Social media has become an important part of everyday life. Not only do people use it to connect with friends and family, but it’s also a way of interacting with brands. This means there are opportunities for businesses of all sizes to use social media as part of their marketing strategy. 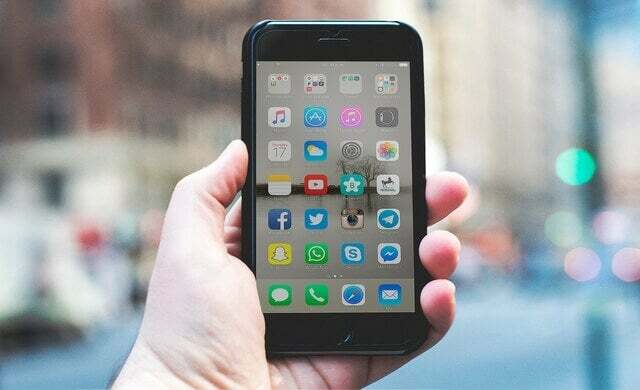 In 2019, it’s predicted that there will be 40.58 million social network users in the UK, according to data published by Statista. But how is social media marketing defined? What is a social media marketing strategy? Why are they important? And how can you create one for your business? We’ll provide the information you need to know, along with an introduction to some of the main social media marketing platforms. You can go straight to the section that you want to learn about the most by clicking the relevant link above. Or, read the whole article for a more detailed insight into social media marketing for small businesses. Alternatively, if you’re ready to compare quotes for social media management right away, simply complete the form at the top of the page. 1. What is a social media marketing strategy? In this section, we’ll discuss what a social media strategy may look like, and show you how to create one for your business with our quick step-by-step guide. Social media marketing (SMM) is a way of using social media platforms to market to your customers on the internet. Marketing can be text, image, or video based, or a combination of the three. It could be organic, where customers find your business, or paid, where you pay to be put in the feeds of your target market. You’re likely to begin focusing on the former, but in time, you may want to consider running promoted posts or paid advertising for your business on social media. An SMM strategy should take into account the differences between the platforms on offer. For example, Instagram is primarily visual, Twitter is text-based, while Facebook offers multiple options for sharing content. Whether your business is completely new to using social media in this way, or it’s already active on some sites and you’re looking to increase your activity, it’s important to have a plan (the strategy) to guide you. This is likely to include setting goals for social media overall, and may also include specific aims for each platform too. It may be helpful to consider goals that are SMART – specific, measurable, relevant, and time-bound. Note that this brief guide works on the basis that you’ve already set up your social media accounts. For more detailed information on managing social media accounts, read our article on the best social media management tools. Now you’ve learned more about creating a strategy, we’ll introduce some of the top social media marketing platforms. Founded in 2004, Facebook has grown to become one of the internet’s most long-standing and popular social media platforms. You can create a specific Facebook for Business profile, and use it to interact with your customers. Features like the instant messaging function (for customer support) and the ability to create ads (for promoting products) are particularly useful for businesses. Learn more about how to use Facebook for business. With more than 500 million tweets sent each day, Twitter is an ideal platform for businesses looking to connect with more people. Plus, with its focus on discovery, it offers the opportunity to reach new audiences. On Twitter, it’s possible to promote Tweets and run ads, allowing you to boost the reach of your 280 character messages. Twitter is primarily word-based, with its #hashtags and direct messages – essentially, it’s all about building a conversation with your customers. Discover more Twitter for business tips here. If you’re looking to connect with your customers through images, then highly visual Instagram is the social media platform for your business. 80% of accounts follow a business on Instagram, and the platform can be used to inspire customers to make purchases. Now offering video in addition to still images, Instagram offers businesses the opportunity to promote products, as well as interact with their communities. And with a dedicated Instagram business account, you can benefit from additional features like contact details and call to action buttons. Find out why Instagram is a social media app for business. Another highly visual platform, Pinterest allows its users to create and curate boards of their favourite inspirational images. Whether your company offers luxury holidays or budget interiors, Pinterest offers the opportunity for businesses to get their products in front of customers who are looking to make decisions. Your business can also share content that it itself finds inspirational. Promoted pins and buyable pins are a way of targeting more customers as well, with the latter allowing users to make purchases directly within Pinterest – a quick and easy experience for them, and a prime commercial opportunity for businesses. Visit our dedicated page on Pinterest for business. Whether you decide to create your own content or run an ad, YouTube is the place to be for businesses wanting to use video marketing. It allows users to create video content that can be accessed by a worldwide audience. For example, you could use YouTube to create informative how-to videos, or videos that raise brand awareness by taking a look ‘behind-the-scenes’ of your start-up on a day-to-day basis. You could also use the platform to showcase what happens during your production processes, while YouTube’s live function allows for ‘in-the-moment’ connection. Video content is becoming an increasingly popular form of marketing, and YouTube is one of the most well-known social media platforms dedicated to the moving image. You can read our YouTube for business article for more information. You may have heard of influencers – people who are highly active and influential on social media, often due to the number of followers they have and the levels of engagement within the communities they’ve created. Some companies use these Instapreneurs and other social media influencers as a way to reach out to the customers they want to connect with. This could be through sponsored posts, or more developed partnerships. From reading this page, you’ve learned more about social media marketing for businesses, as well as the importance of a strategy. Additionally, we’ve provided an introduction to some of the top social media marketing platforms. Next, read our articles on Facebook and Twitter for more in-depth information on those platforms in particular. Also, our best social media management tools page can help you find software for managing social media that’s most suited to your start-up. To compare quotes for social media management, fill in the form at the top of the page.